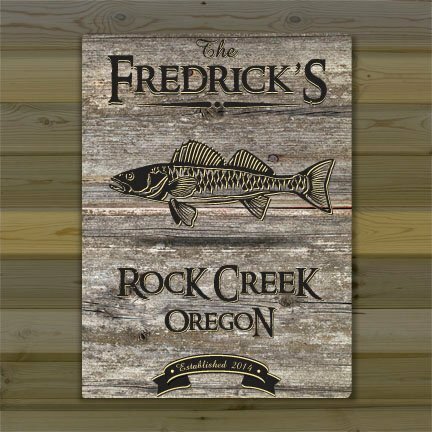 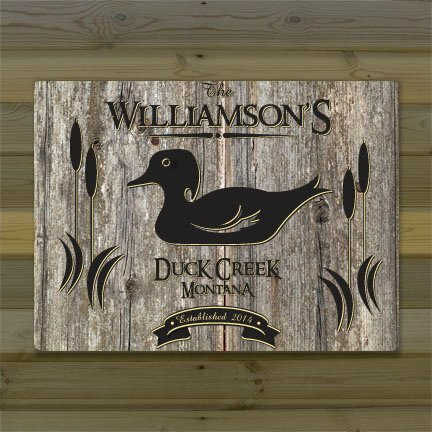 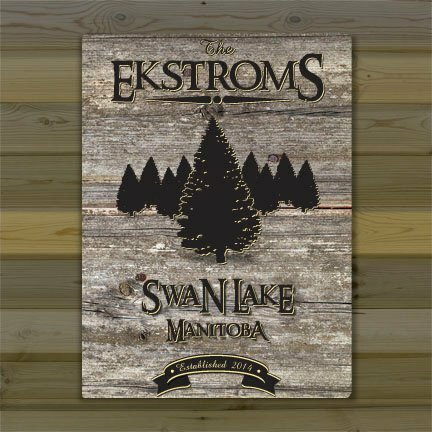 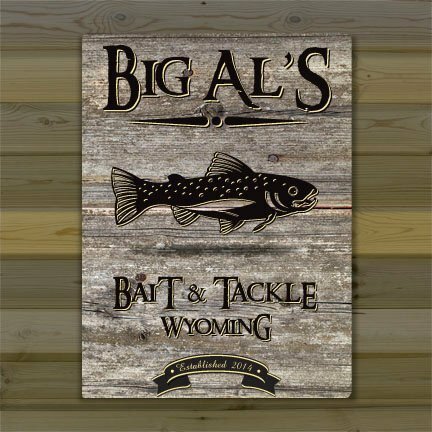 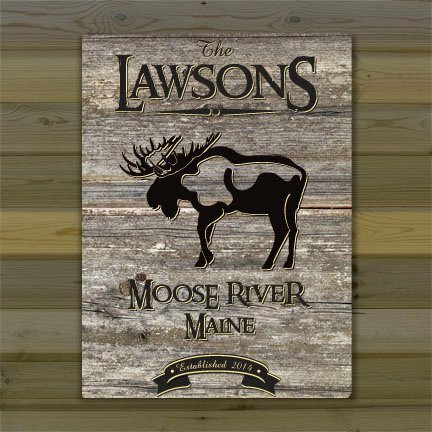 With a rustic weathered wood background, these canvas prints will fit into any cabin decor! 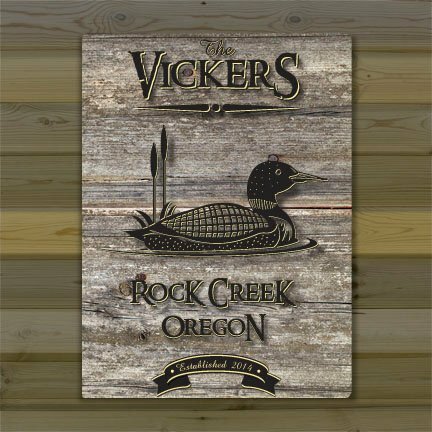 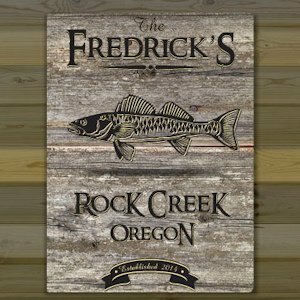 Each 18" by 24" print is personalized with 3 lines of custom text, plus an established year that accents the center design. 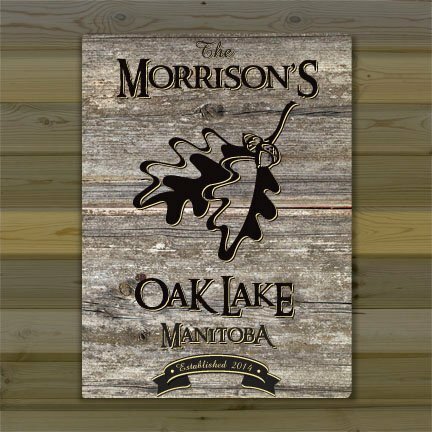 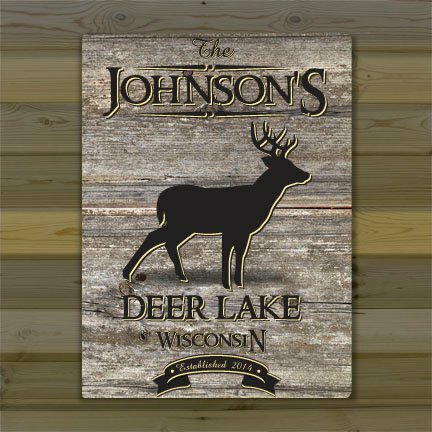 Whether your cabin is deep in the woods or sits on the shores of a lake, this canvas print will welcome guests to enjoy the peace and serenity that comes with being away from everyday life.As seen in the images, our personalization department will capitalize the first and last letters of certain words to enhance your design. 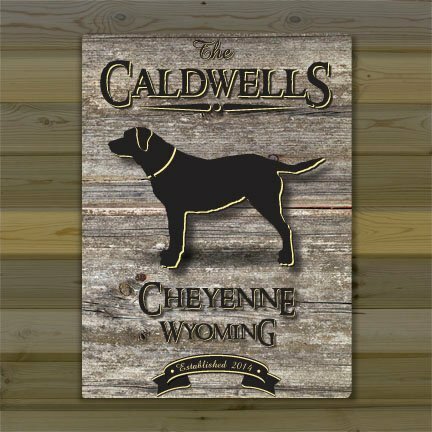 Note: If you prefer to personalize your print with a phrase at the top (instead of a last name), be sure to check "NO" during checkout so we don't print the word "The" at the top of the print.